One For My Baby is the story of Frank Sinatra with a twist – combined with cocktail recipes. The book introduces us to his life and art seen from an unconventional point of view – Ol’ Blue Eyes’ prodigious appetite for alcohol. Considering his life and times through his drinking is obviously a conceit, but hardly the most fanciful of conceits: there are more than enough stories, legends, anecdotes and facts to be able to make a compelling case that his drinking was an integral part of his character, his lifestyle and (by extension) his creative output. 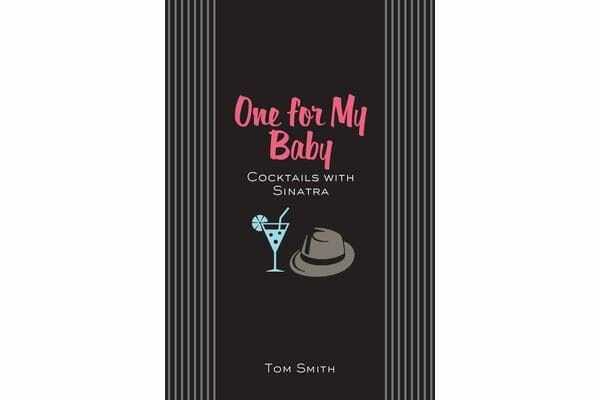 This book further distinguishes itself through functioning as a practical cocktail manual, containing over thirty detailed recipes for preparing and presenting fancy drinks he was known to enjoy himself; as well as providing information on some of Sinatra’s own personal drinking lore and some of the traditions he followed or inspired.